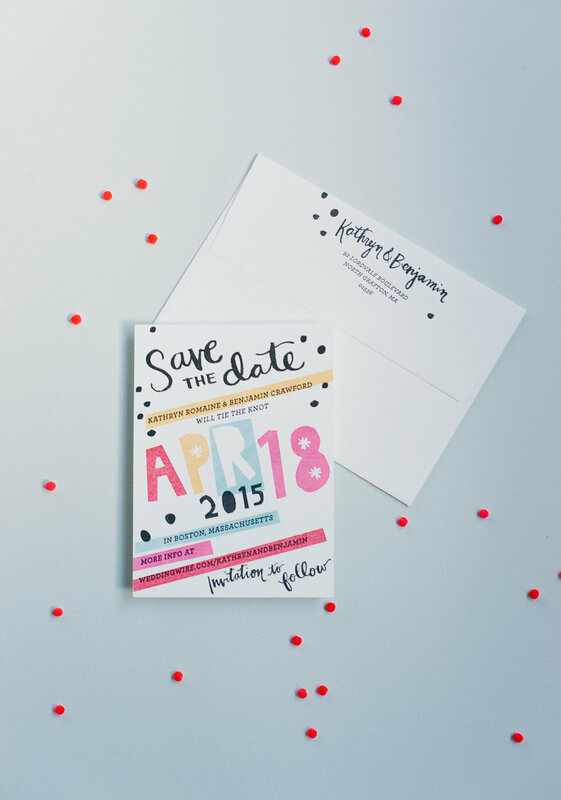 Bright colors and hand lettering are the name of the game on the Romaine Save the Dates. We love the mix of bright, digital colors and the painterly effect we achieved with letterpress. 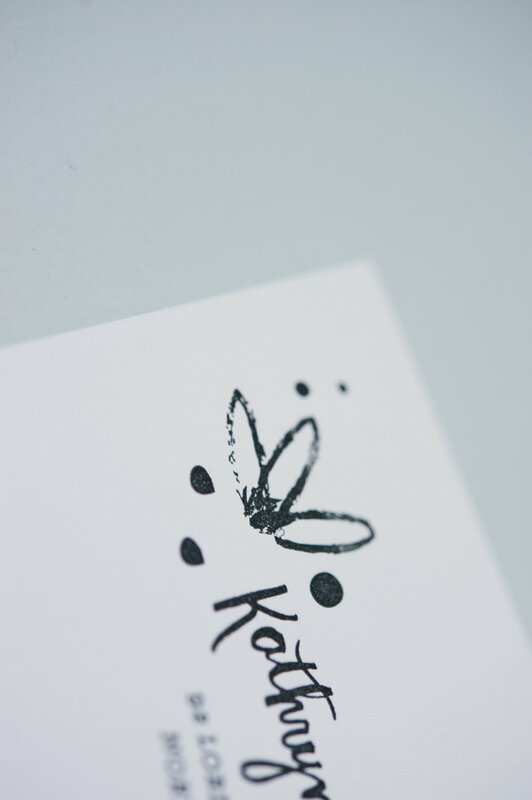 You can see the full invitation suite here.